While I don't knock myself out doing this show, I do put a modicum of effort into it, a labor of love, or of like at the very least. Let's get our preliminaries taken care of before we get on to Bowie. I played Sharon Jones singing Woody Guthrie's "This Land is Your Land." My thought: In this day and age of increasing income inequality, when a segment of the political world believes that the solutions to our economic problems lie in increased privatization, and, on the other hand, we have a serious presidential candidate who unabashedly calls himself a socialist, maybe it's time to revisit the work of Woody Guthrie. I'll tell you this: his memoir, Bound for Glory, is a fantastic read. Steinbeck would be jealous; he studied it but the Woodchuck lived it. John Mayer's "Stop This Train" and Joshua Redman's cover. Beautiful music. Coltrane playing a beautiful ballad; Rollins killing it, as usual, this time on Cole Porter's "Ev'ry Time We Say Goodbye." I'm glad to have the lyrics in my head. OK, on to Bowie. When I heard of his death, my first thought was, "this is going to be all over Facebook," and, believe me, it was. More than I could have imagined. It struck me first as an over-reaction, but I have been studying up, getting caught up, as it were. And I'm starting to understand. I still have a short Bowie essay up my sleeve, so I don't want to write to much; why steal your own thunder? So I'm going to let Chris O'Leary do the talking. I admire his writing. He had a great blog, Locust Street, which he suddenly abandoned to start a song-by-song Bowie blog. I thought, why? Locust Street was so much more interesting. Only now am I beginning to see the light. The blog is linked, I imagine, to Chris's book on Bowie, Rebel, Rebel. So today, besides the usual nonsense, jazz, and shenanigans. I played Bowie's Ziggy Stardust album in its entirety. It may be true that it's not Bowie's best album, but it's the one that most connects with my personal history. But I'm going to let Chris do the talking. Catamount Community Radio, Sunday mornings, 10-12 at 90.5 FM, and still not streaming on the internet. ...David Bowie’s Christmas carol. It offers a promise of deliverance, that the human race has been redeemed by greater powers, with a chorus built for a crowd to sing it. It’s the song that finally broke Bowie, whose performance of it on a July 1972 Top of the Pops made him a nationwide, and soon worldwide, pop star. So while the Ziggy-era Bowie is remembered today for his outrageousness, the song that made his name is warm, reassuring and most of all familiar. ... isn’t much of a rock & roll song, either. 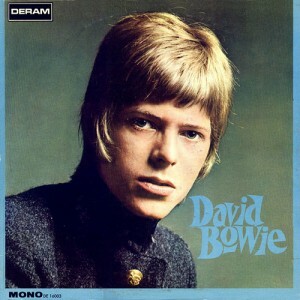 As with much of Ziggy Stardust, “rock ‘n’ roll” happens off-stage, like naval battles in Shakespeare plays….Bowie saw “Suicide” as the ember stage of a rock singer’s life, a plastic rock star wandering, burned-out, through the streets, realizing he’s suddenly no longer young; he’s discarded, and destroyed, by his audience. "I was in love once, maybe, and it was an awful experience. It rotted me, drained me, and it was a disease. Hateful thing, it was." It’s only five seconds in each duration but is perfect and complete: a slammed G chord, a fanfare, then the tough connective tissue leading to the next G chord. To make a riff like this, for guitarists, is like forging a passkey to Valhalla. It could be a number sung by a teenage girl in a Broadway show, it could be a paying-your-dues anthem by a metal band. “Star” has no sense of reality, of rock & roll as a business: rock stardom is a fairyland contrasted to the weary business of politics or art. The singer sees his friends commit to activism or violence (like Tony, who goes off to fight in Northern Ireland) and decides he’s not cut out for sacrifice. Instead he just wants to be a rock & roll star, which seems easy enough. “So enticing to play the part,” the singer imagines, pouting into the mirror. On 27 January 1971 David Bowie finally came to America. He had dreamed of an entrance like Oscar Wilde’s: Wilde had stepped upon a New York City dock after a cross-Atlantic cruise and was met with a mob of reporters eager for choice witticisms. Instead Bowie had to endure a flight (which he hated) and when he landed at Dulles Airport, with his Lauren Bacall haircut and “wearing a purple maxi-coat and a white chiffon scarf” (Christopher Sandford), he was detained by customs agents, who searched him, sniggered at him and finally released him after an hour.